Is it just me or are there not that many YA crime novels? Some of my favorite shows are Bones, White Collar, Psych, Monk, etc, and I would love to not just watch shows like those, but also read some novels like the shows. One of my go to authors for spies and con-mans is Ally Carter. She has the Heist Society Series which follows a family of high class thieves, and The Gallagher Girls series which follows Cammie, a spy-in-training destined to become the next legend. Another author I’ve gone to is Jennifer Lynn Barnes with her The Squad Series (Gov’t OPS/Spies), and her most recent novel, The Naturals, which follows five teenagers with extraordinary talents that help the FBI solve cold cases. There is also these two phenomenal sisters, Lisa and Laura Roecker, who write about secret societies and murder. 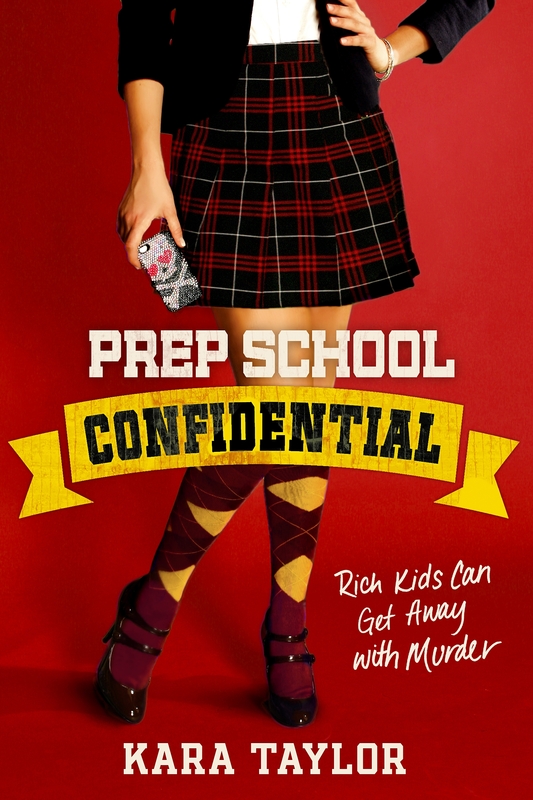 Lastly, we have Kara Taylor’s debut novel, Prep School Confidential, which is another murder mystery story that takes place within the walls of a high class preparatory. Apart from the authors I mentioned above, I don’t really know about other crime/secret society novels within YA. This sub genre within YA is not very well known or talked about, which is why I assume there aren’t many books in the genre. I really wish there were more…. Anyone else think the same thing? I was provided with a ARC of this book through NetGalley in exchange for an honest review. This book blew my expectations out of the water! When I was halfway through the book, I googled the author and noticed that this is her debut novel. Yes, her debut novel. I couldn’t believe it because the book is so well written and the plot is so good that I am left speechless. Prep School Confidential is a page turner. The twists that are thrown at you leave you breathless as if you have been running a 5k marathon. The character development, the mystery, the writing, I loved everything in this book. Since I am posting this review three weeks before the book comes out all I can say is that if you like mystery, if you like boarding school stories, or if you want a good murder story, this is the book for you. I think even readers that are a fan of fantasy/paranormal/dystopian books will greatly enjoy this book.